Wow! What a wonderful week it’s been…from Tuesday evening until Thursday afternoon, I was in Amsterdam. 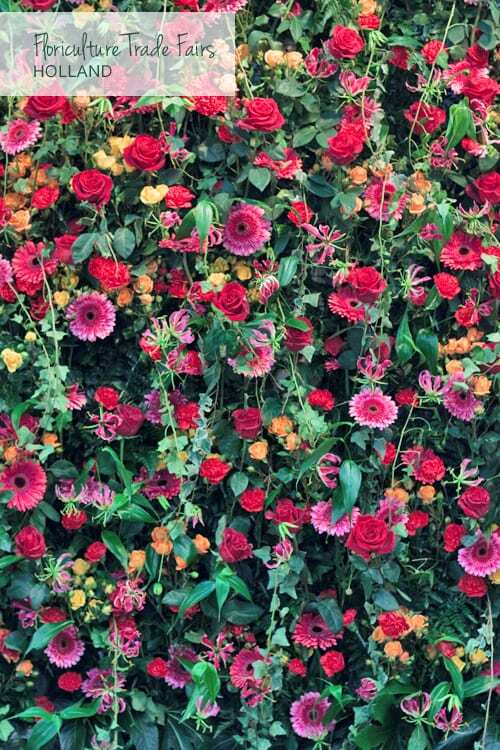 I was there to visit two floriculture trade fairs, the FloraHolland Trade Fair and the IFTF (where I spotted this amazing flower wall above). 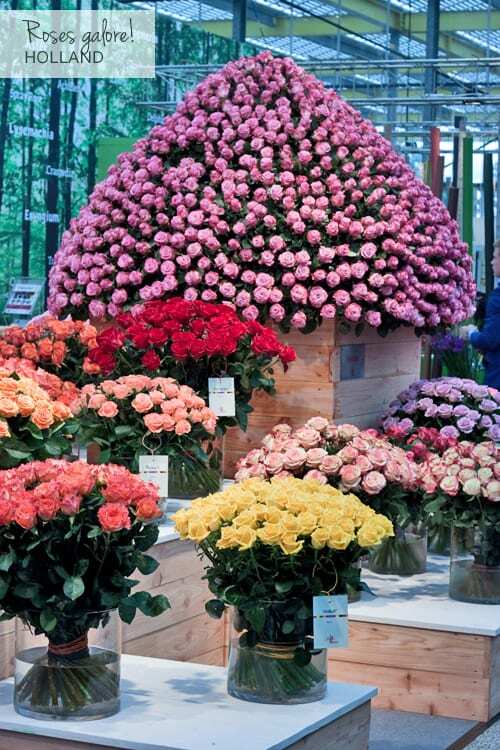 And I also managed to squeeze in a visit to the Flower Auction at Aalsmeer. 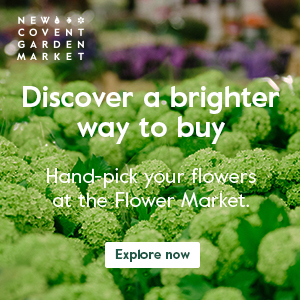 For me, this week’s been ‘flower heaven’! I took hundreds of photos whilst I was in Holland and I thought I’d share just a few with you today. I very much succumbed to the charms of the city of Amsterdam, which is sometimes referred to as the ‘Venice of the North’…and for good reason. It’s such a picturesque place with lots of canals and teeming with bicycles. On my first night there, I was invited to dine with a group of people in the floriculture industry at a restaurant called De Kas. It’s in an amazing glass building that used to be an old greenhouse. We had such a lovely evening and it was a real eye-opener for me to become enlightened about the flower chain, which starts initially with breeders and growers. 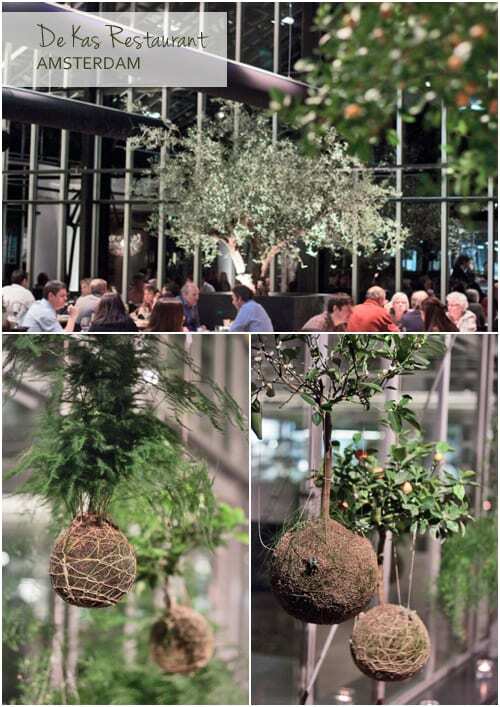 I loved the Kokedama (Japanese string gardens) in the restaurant entrance, pictured below. 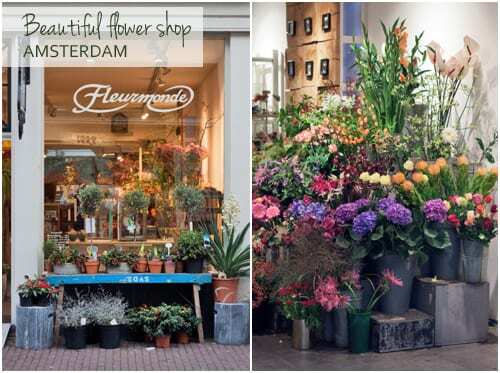 Unfortunately, I didn’t have any spare time to look around the florist shops in the city, but I did pass by this lovely place called Fleurmonde on my travels. Time didn’t permit me to venture inside, but hopefully I’ll be able to on my next visit to Amsterdam. 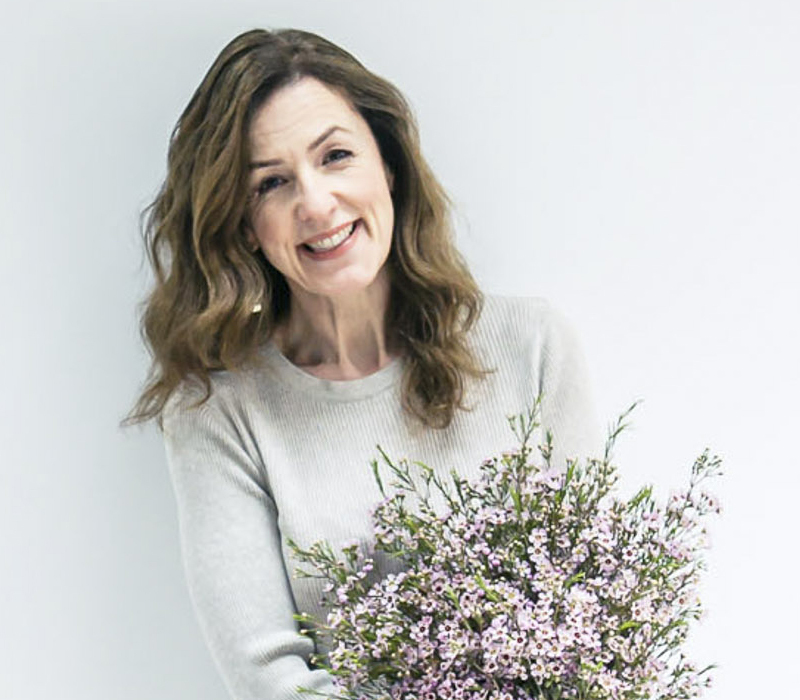 Below is just a little taste of what’s in store for you to see on Flowerona in the coming weeks…I’ve got lots and lots of material for blog posts, which I can’t wait to share with you! But in the meantime, you may like to take a look at my Instagram feed where I posted a few photos and a short video. The most popular blog post this week was ‘Christmas wreaths & arrangements by Jane Packer’. 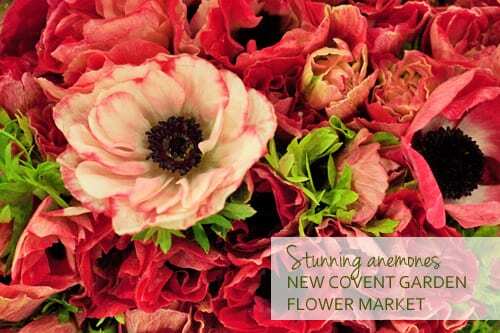 In my November Flower Market Report, you can read about the subtle transition flower-wise, as autumn and winter overlaps into spring with more anemones, tulips, ranunculus and hyacinths making an appearance. So, I hope you have a lovely Saturday. I’ll be back tomorrow with Flowerona Links! P.S. If you’re visiting Amsterdam and looking for somewhere to stay, I highly recommend a B&B called Sjudoransj…great location, lovely owners, fab room and delicious breakfast. The Dutch are the most flower concious nation I know.I suppose it’s not surprising with the big Dutch markets.What I love is the selection available,the fact the shops are almost clinically clean & tidy & the fact that there are shops in the smallest villages& most unlikely places( or there used to be)When I look at whats on offer in our local town I could weep .You have to admire them even though there is a movement towards British flowers ,to me it was always a question of availability & reliability. 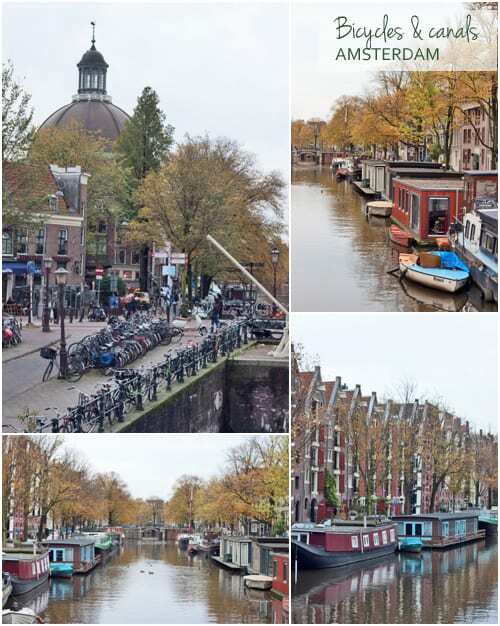 How lovely to see those photos of Amsterdam! It seems like a life time ago since I lived and worked there. It is such a beautiful and enchanting city! I had never heard of De Kas before, definitely one I’ll try to visit next time I’m going back over to Holland!